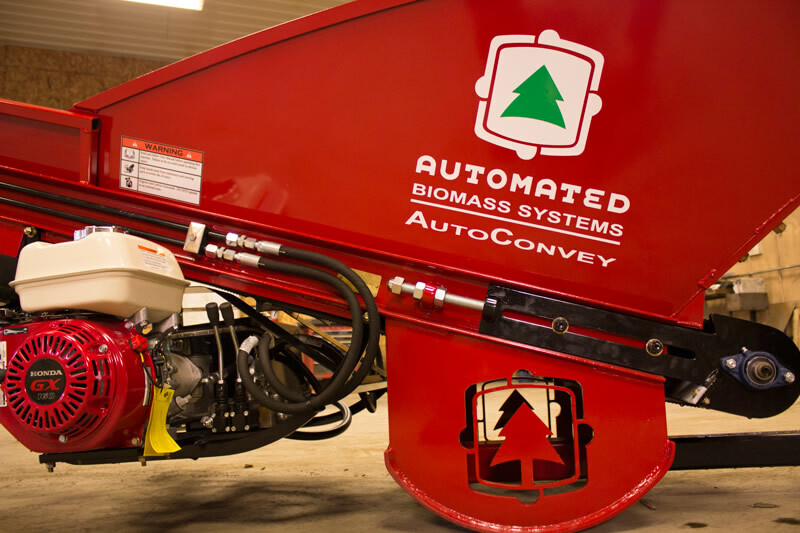 AutoConvey is a durable and efficient biomass handling system. It is asy to move and operate and it can be used in a variety of applications. 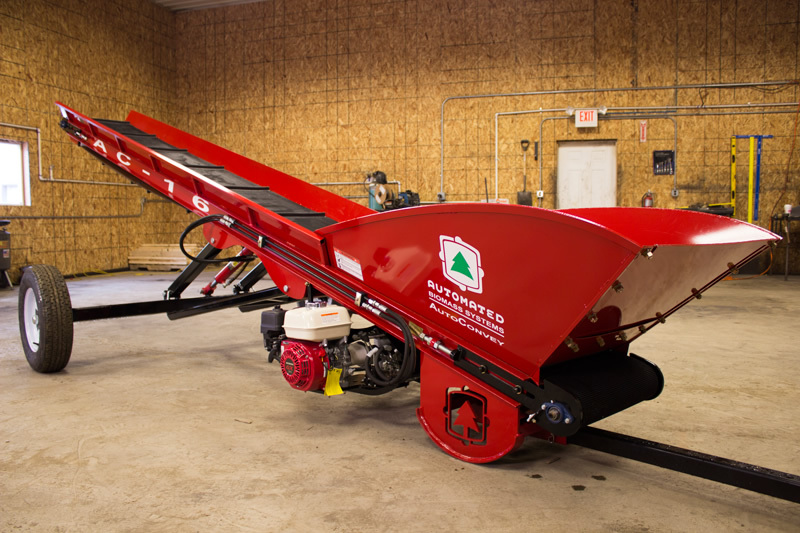 AutoConvey can handle firewood, mulch, wood shavings, manure and hay. The AutoConvey main frame is constructed out of heavy, C-4 5.4 C-channel that allows the device to withstand ongoing heavy use and impact from operational errors. An industrial grade paint designed to stand up to high abrasion environments protects ABS equipment from rust. They look great even after many years of operation, enhancing resale value. 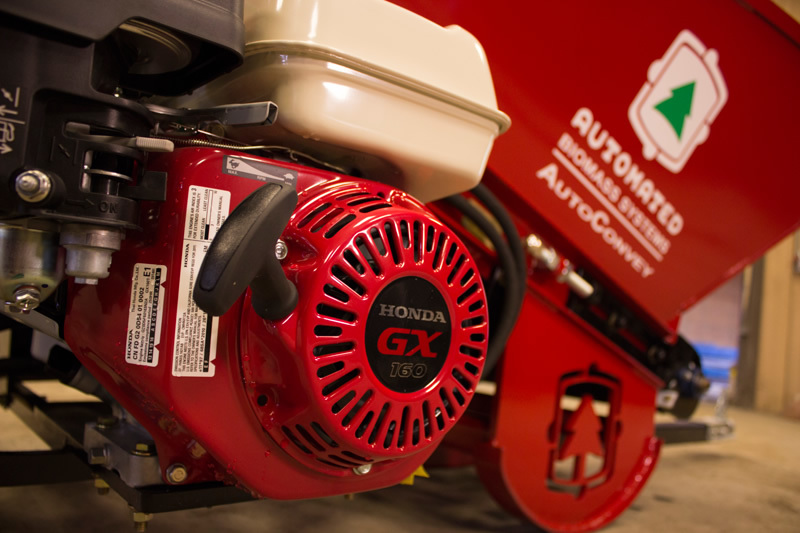 ABS conveyors are powered by Honda GX-160 motors, known for fast and easy starting, quiet operation, and reliability. Paired with Parker Hannifin motors and pumps, the system allows the belt to turn at up to 350 feet per minute while generating 1500 lbs. of torque at the drive shaft. The ABS power lift feature allows the operator to easily change the height and freely move the conveyor. 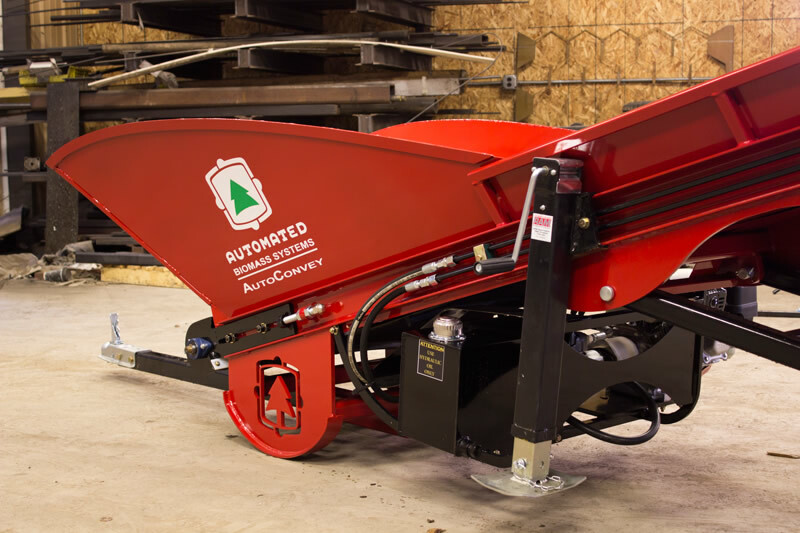 Our unique skid base makes it easy to position AutoConvey under a processor or against a building. Easy to tow behind any compact pickup truck, they are easily lifted by most skid steer loaders for quick repositioning. AutoSort Integrated (AS – i) separates fines associated with firewood production to create a higher quality firewood product.